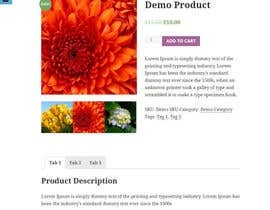 I want to customize a wordpress theme with woocommerce. It's an online store. I will give you detailed instructions with screen captures on what I want to be customized. If you are interested in the contest ask me privately the admin and ftp info to access the files. TASK#2: NOTE: the text between ( ) is the ITALIAN TEXT. Use the ITALIAN TEXT. The ENGLUSH text is only for YOUR REFERENCE. This layout will appear with products that have no discount. 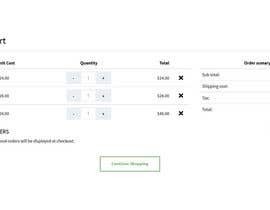 This layout will appear with products that DO have discount. Make sure to use nice graphic/layout of the various lines. The content of this section will have to be easily customized from the WP ADMIN using visual composer. ALSO VERY IMPORTANT!!!!!!!!! ----> Give a NICE LOOK to the page using your skills. Fonts, colors, sizes, and so on. The winner will also keep working for me on future codings.